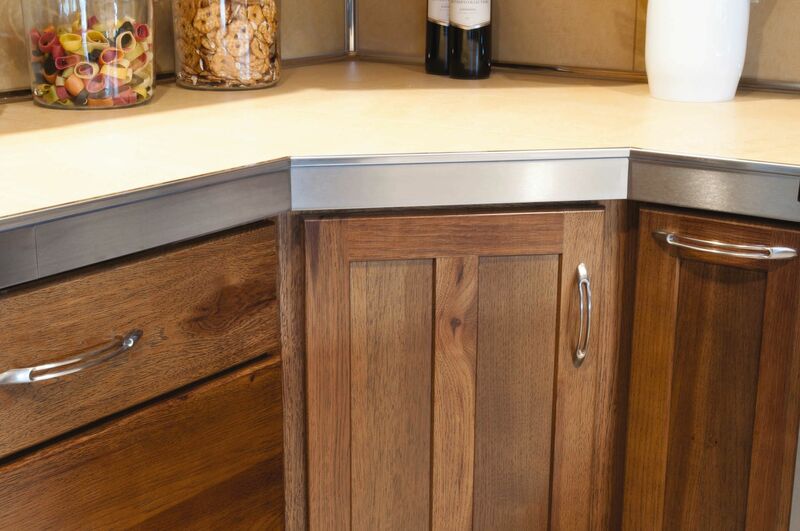 This kitchen countertop is constructed with KERDI-BOARD. 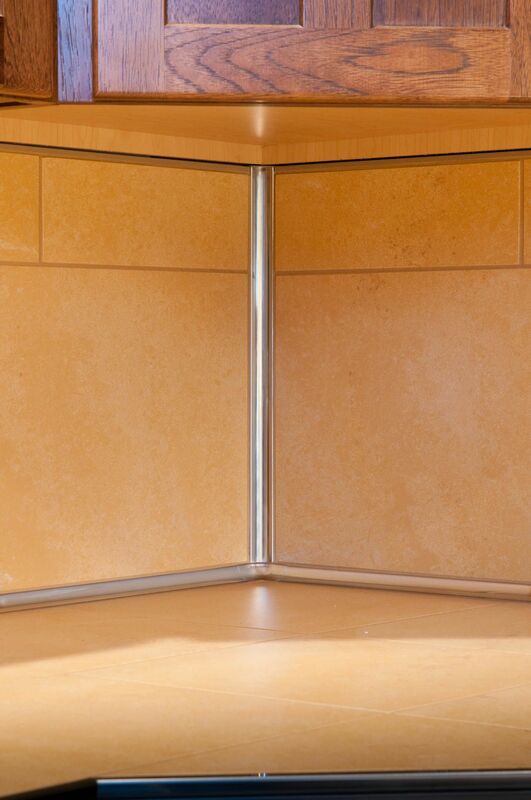 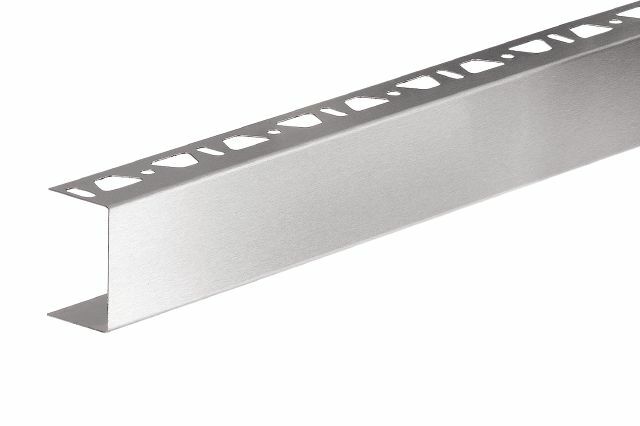 The KERDI-BOARD-ZC brushed stainless steel U-shaped profile is used to cover the front face of the KERDI-BOARD panels. 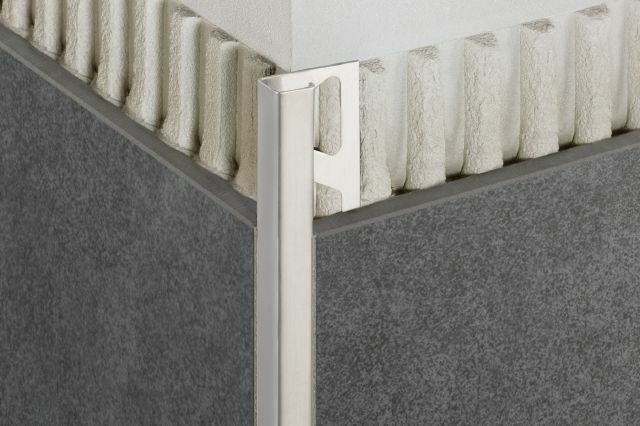 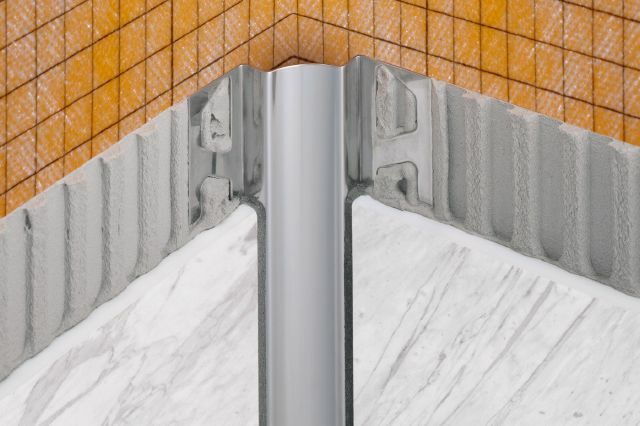 The QUADEC square-shaped profile in matching finish is used to finish and protect the edge of the tile. 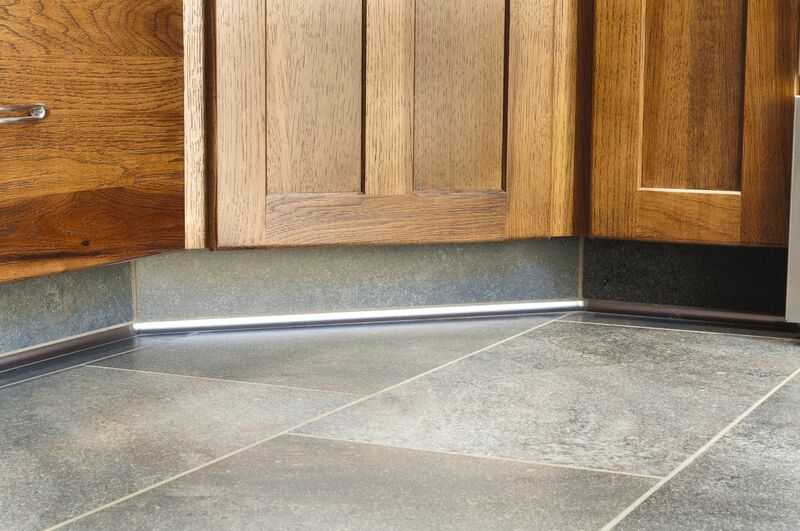 The RONDEC bullnose profile and sink corners used to produce the tiled-under sink. 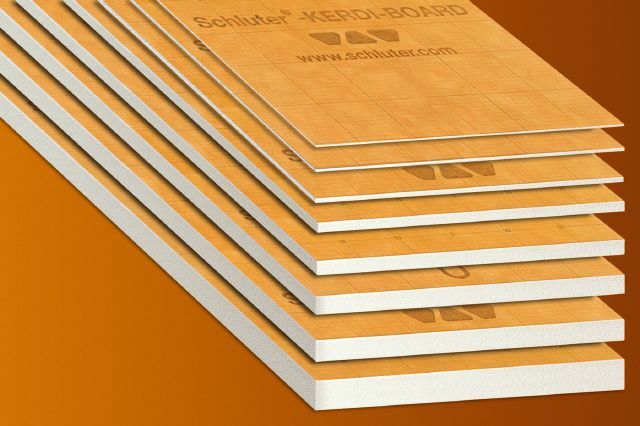 The KERDI-BOARD-ZC brushed stainless steel U-shaped profile is used to cover the front face of the KERDI-BOARD panels. 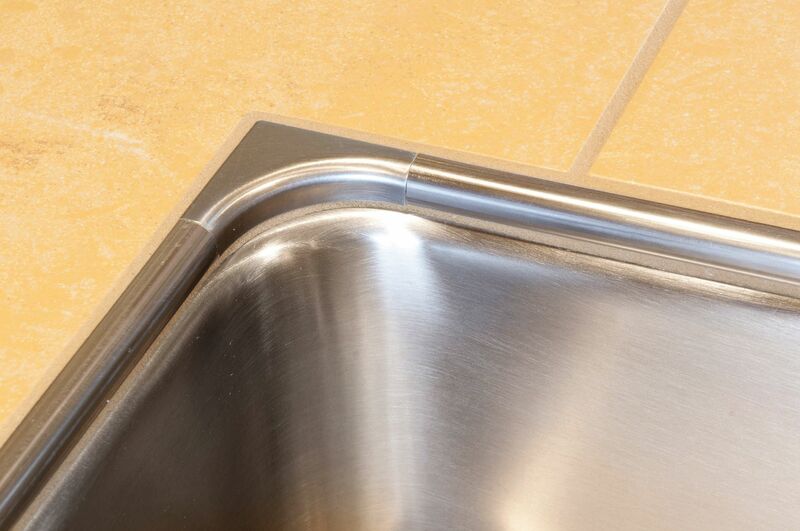 The QUADEC square-shaped profile in matching finish is used to finish and protect the edge of the tile. 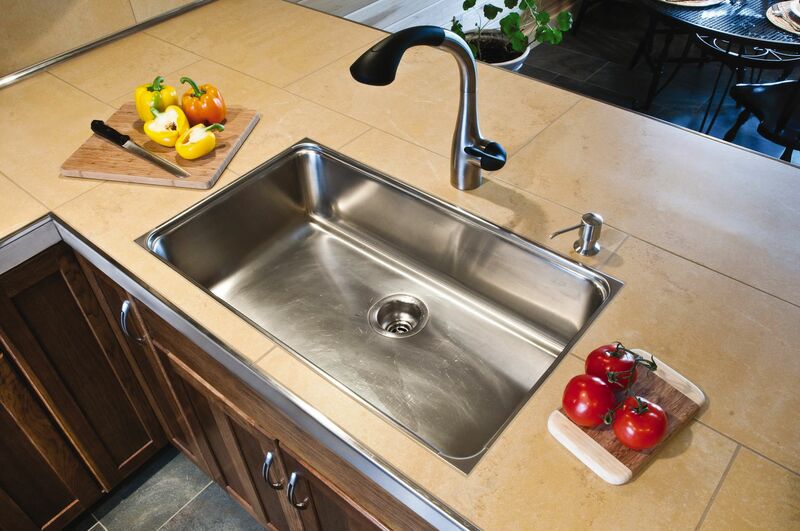 The DILEX-EHK stainless steel cove-shaped profile creates a sanitary, easy-to-clean transition from the countertop to the backsplash, and at the inside wall corners. 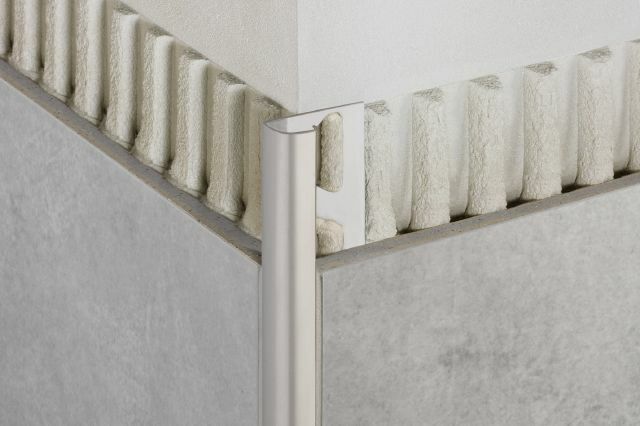 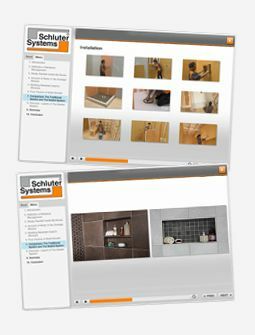 The DILEX-EHK used on the floor/wall transition features a cove-shaped surface, preventing the accumulation of dirt and making cleaning simple.